This book is an attempt to make children visible in an area where they are not normally seen or heard, namely in macroeconomics. No economic policies are “child neutral”. The book discusses the impact of general development strategies and macroeconomic policies on the lives of children. 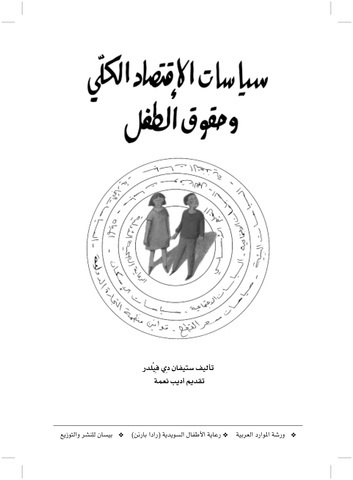 An introduction and a glossary have been added in the Arabic edition. (Published with Save the Children - Sweden, 112 p. 14.8x21 $5).